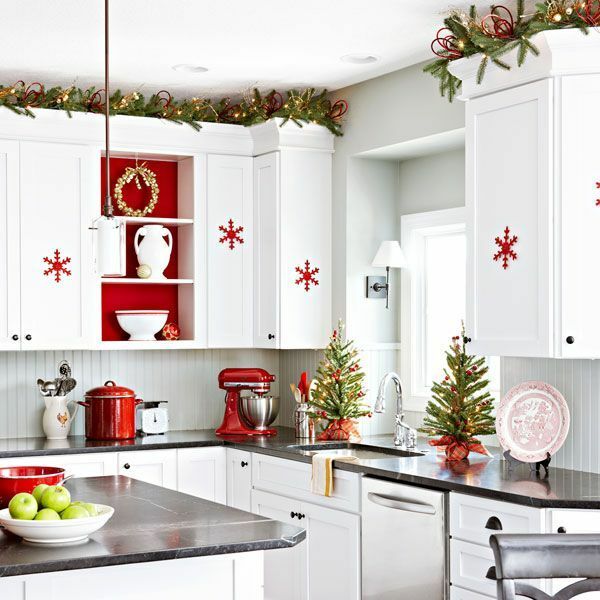 50 Cozy Christmas Kitchen Décor Ideas are sparticular decoration and a part of other series of Beautiful Christmas Decor Ideas. 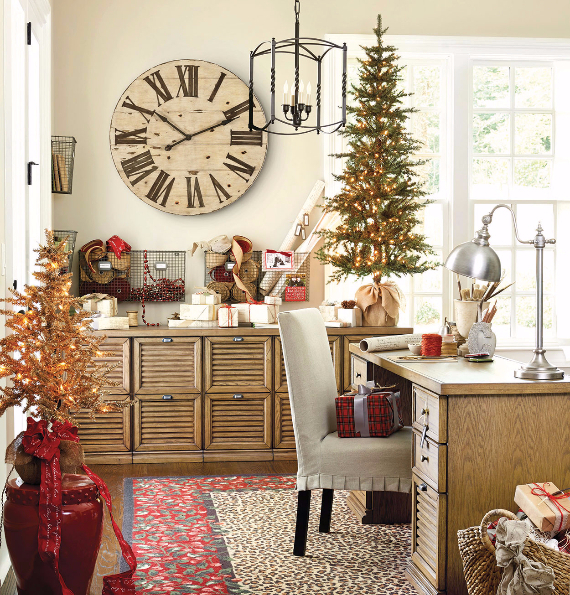 With Christmas on the corner, every room needs special attention, so that its spirit came into your home! 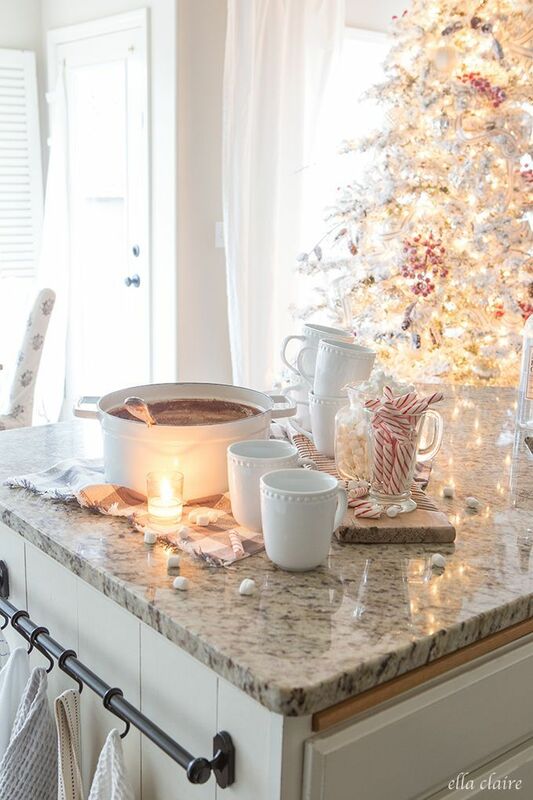 Christmas is a fabulous time of year for keen cookers; it’s the chance to use kitchen accessories to add festive flair and cheer. 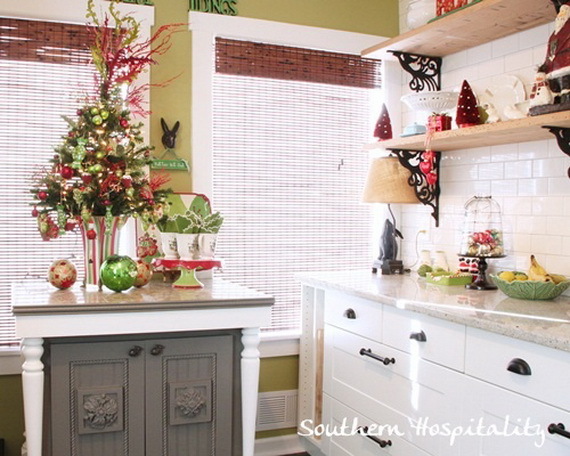 Kitchen Christmas accessories are used as decorative items to set a mood and give your cooking area a whole new look. 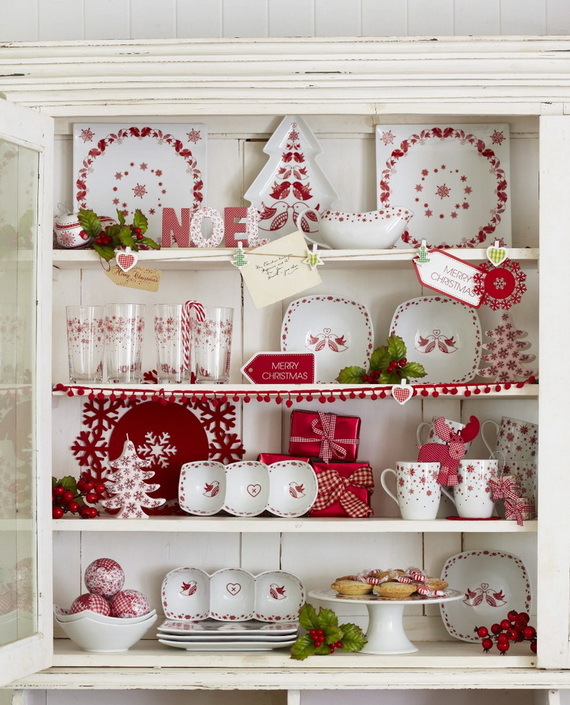 Kitchen accessories such as ;Kitchen Towels, Tea towels, Coffee and Tea Mug Set, oven mitts, bowls, trays, votive, straws and so many more can be replaced with red alternatives to spread plenty of cheer this Christmas season.‎. 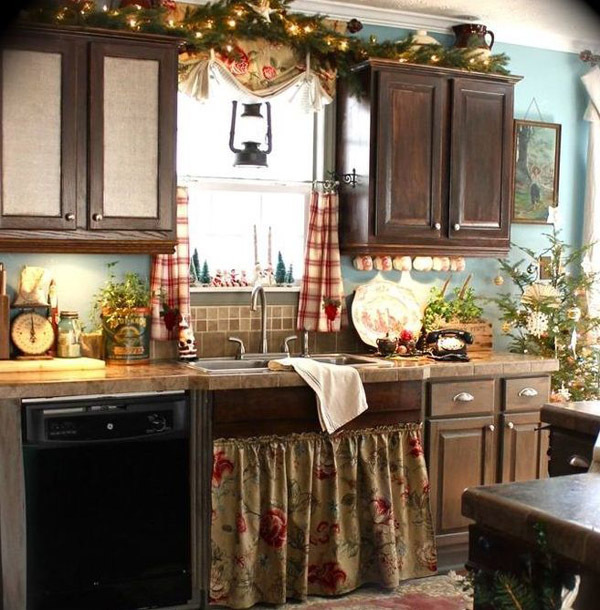 There are plenty of styles to decorate your kitchen for Christmas; all are defined by their intriguing details adding character and charm. Traditional Christmas style which we all love means our red and green accessories in choosing the tableware, rugs, tablecloths and napkins and so on…while black and white accessories are considered with Scandi and minimalist styles mainly ‘frosted’ Christmas tree or branches. 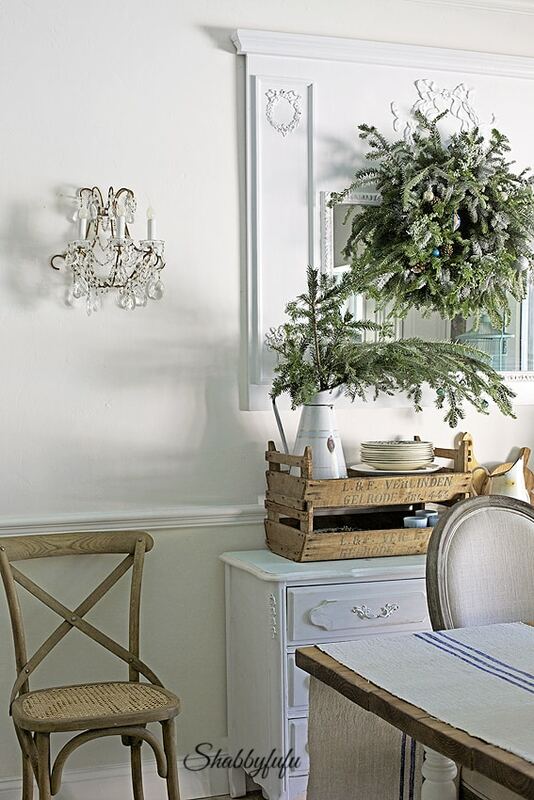 Rustic Christmas decor styles embody the country Christmas lifestyle giving that look like they have been around for a while. Christmas ornaments and the mini Christmas tree can be one of these accessories giving the final touch and are suitable for any type of decor. The tree in the kitchen became a tradition in many houses. It is one of the Christmas ideas that became essential to spread the sense of joy no matter how big or small the kitchen might be. 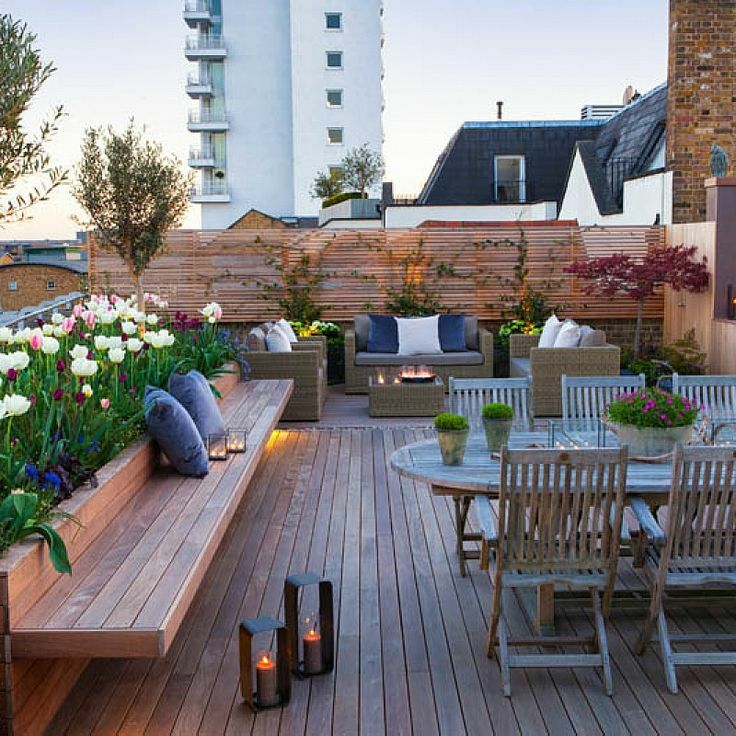 Big or small you can always find the perfect tree size for it to suit your style and decor. A big or small glitzy tree is adorable, can make a big impact to your overall home decorations. Depending on your kitchen size and space little Christmas tree can capture anyone’s heart. Christmas tree ideas are endless and the key to a great kitchen tree is being simple whatever the tree size, this makes any decoration easy. 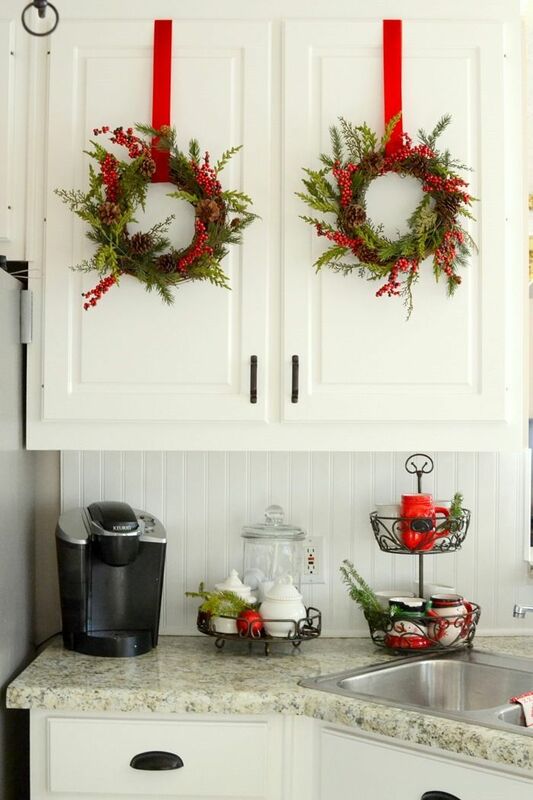 Spruce it up and add a festive glamour to your kitchen by hanging a wreath on your window, on the door, on kitchen wall, by the counter , cabinetry or hung from the ceiling- anywhere to spread the cheer to undecorated room. 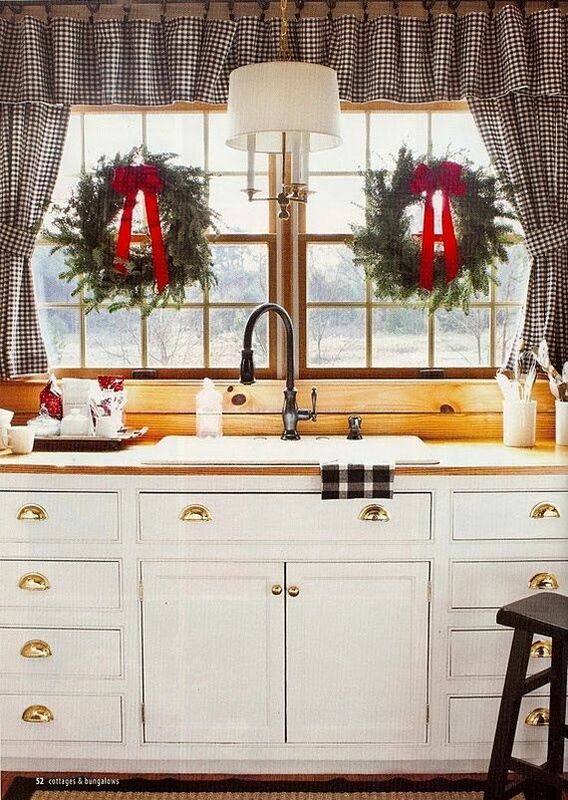 Wreaths look great and are a fantastic decor just like Christmas trees beside it won’t take up precious space. 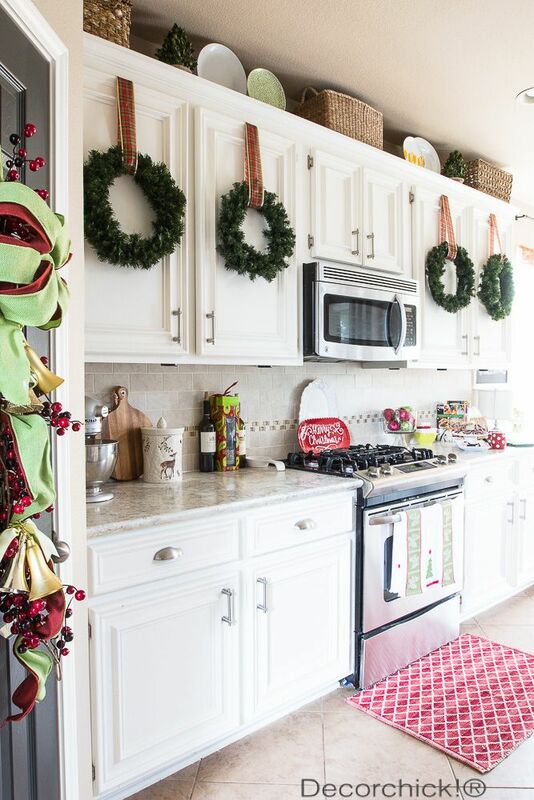 Kitchen wreaths are the easiest decorations for Christmas and are much more practical than the trees they won’t take up space. They can be adapted mostly anywhere; vertically and horizontally are eye-catching wherever it is hung. 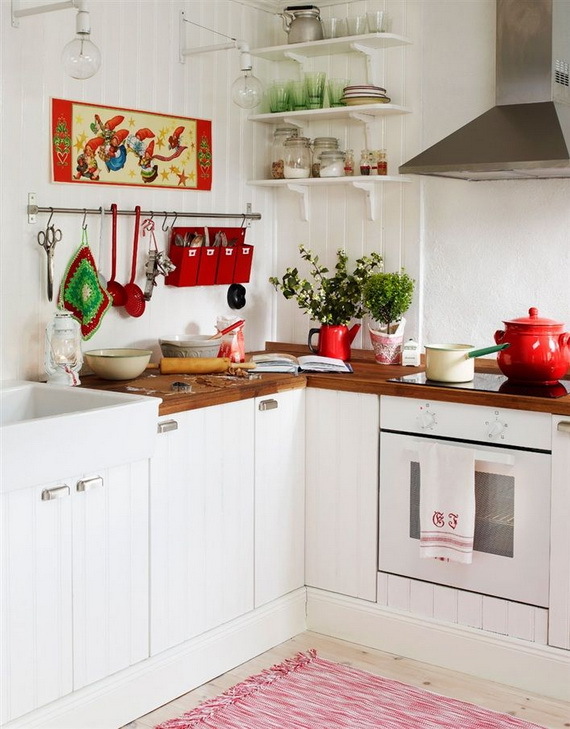 They can be found in all sizes and styles depend on the size and the style of your kitchen. 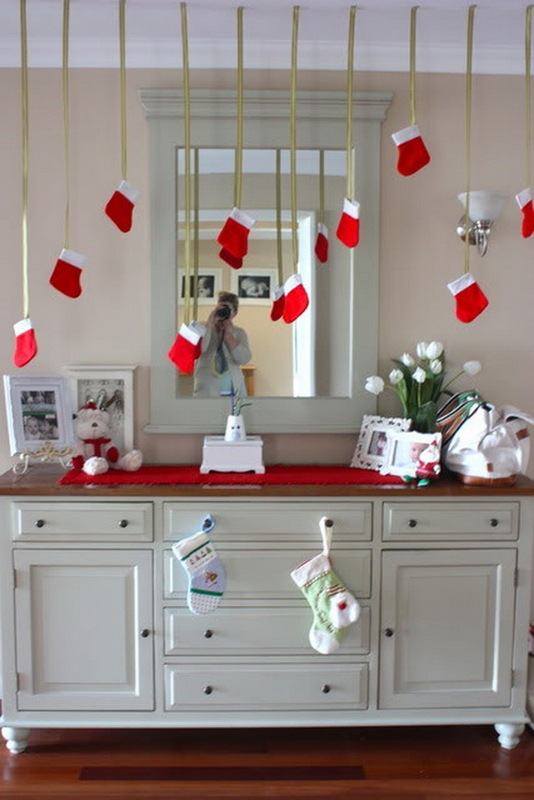 Christmas wreaths is cute enough to change the space into a holiday precious space and add instant Christmas cheer.